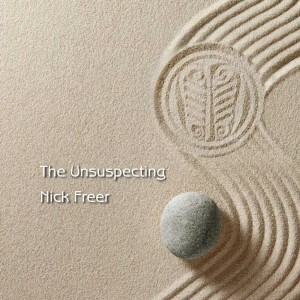 THE UNSUSPECTING, Nick Freer. buy online! AVATAR HANDS, Nick Freer. buy online! Then the direction changed when at 20 I heard Allan Holdsworth and the course has stayed the same with usual suspects Frank Gambale, Scott Henderson, Wayne Krantz Tim Miller and so forth. Now it’s all these guys balanced with the Second Viennese School. “..an excellent example of fusion played with aplomb and imbued throughout with compositional intelligence, particularly given that this is Freer’s first album as bandleader. This guitarist’s guitarist is gifted with phenomenal technique and indubitably warrants considerably more international exposure”. “Freer manages to elicit the same dropped jaws that Holdsworth has for two generations with his technique and compositional stylings… We hope Nick Freer can gain some notoriety and well-deserved exposure”.